Ever Wondered what kind of pasta you're eating? Or wanted to explain a certain type to a friend but you just can't remember the name? There's so many variations of pasta that it can be easy to forget - is it spaghettit or maybe it's spagattini? 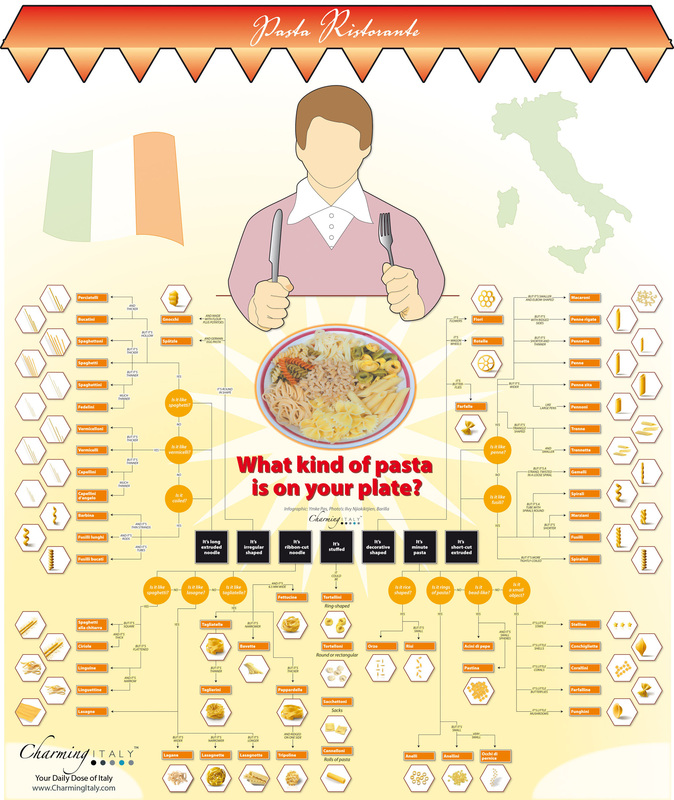 If you really want to get to grips with pasta and now your vermicelli from your capelllini, then this infographic flowchart from the the team at Charming Italy will do the job. It lists all the different types of pasta and even has a great way of working out the names from a small description of their shape.